How to Say No to 0870 & 0845 Numbers? What are the Call charges & Alternative numbers? How to Say No to 0870 & 0845 Numbers? What are the Call Charges for 0870, 0844 and 0845 Numbers? How to check for a cheaper phone number? How to Call 0870 & 0845 Numbers for Free or at Cheaper Rates? How much does it cost to call on 087 numbers? "Looking for an alternative to expensive 0870, 0845, 03, 05, 070/076, 080, 083/4, 0871, 09, 116 and 118 & 0844 Numbers? Phone numbers that start with 0870 and 0845 can cost much more to call in comparison to a basic rate landline phone number.Find out how to Say No to 0870 & 0845 Numbers and avoid making expensive calls to these numbers when contacting businesses." Although the charges for calling 0870 & 0845 numbers have recently been capped by Ofcom, still 0870, 0844, 0845 and other 08 numbers can cost a fortune and burn a hole in your pocket. Dialling these numbers may cost a lot more than a local number (starting from 01, 02 or 03). The charges could be even more if you use a mobile phone for calling these numbers instead of a BT landline. Customers who need to call banks, airlines, energy companies and HMRC, are often advised to dial a number starting with 0870 or 0845.But many people are not aware of the fact that there is an alternative contact number available with a local code for a fraction of the cost.In most of the cases, these businesses have a Toll Free number that they don’t want you to know about. Moreover, now there are phone providers who facilitate free calls to 0870 and 0845 numbers in their free call packages. All you need is to pick the right home package that includes free charges or cheap calls to these numbers. Some packages may also include free calls to these numbers only during a certain period of the day or for full-day, better you check before buying your home phone package. However, some of 0870 & 0845 numbers are typically expensive to call, regardless of your phone operator, and are rarely covered in your mobile or home phone package. Numbers that start with 03, 05, 070/076, 080, 0845, 0870, 083/4, 0871, 09, 116 and 118; fall under the category of Non-geographic numbers. These numbers are used by people to contact businesses i.e. airlines, banks and Government agencies, to get information, make payments for services, make a complaints or vote on TV shows. These numbers have their own special pricing arrangements and usually charge much costlier than standard rates. These numbers are also excluded from mobile or landline “inclusive call” plan. 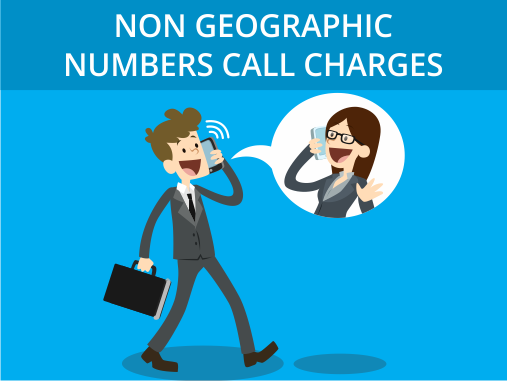 What are Non-geographic Numbers Call charges and phone numbers ? Below are the approximate call charges to non-geographic numbers. You should check with your phone provider to find out the actual cost for these numbers. The cost of calling 0844 and 0845 numbers is between 0p and 7p per minute. However, the access call charges will vary depending on the service provider. The service charge for calling a 087 number is between 0p and 13p per minute. As the case with 084 numbers, the access charges will vary depending on the service provider. How to find out if provider's inclusive calls cover 0845 and 0870 numbers? Tip: Most of the reputable companies are no longer using 0870 numbers for customer services. If you plan to call a company on 0870 number, it is recommended to visit their official website first. The 0870 number you have may be out-of-date and cost much more than the current phone number. How to Call 0870 & 0845 Numbers for Free or at Cheaper Rates ? saynoto0870 is a UK based portal with a directory of non-geographic telephone numbers and their geographic alternatives. This simple to use web portal simply let you find an alternative number to 0870 number that cost you much less than actual 08 number. You have to just enter the name of the company, and enter a phone number to search for. The website lets you search on an 05, 084 or 087 number or on an 01, 02, 03 or 080 number. SayNoTo0870 website & mobile apps let you search on an expensive 0842, 0843, 0844, 0845, 0870, 0871, 0872 or 0873 number to find an alternative inclusive or geographic rate 01, 02 or 03 number or a free 0800 or 0808 number so that you can make a call at cheaper rates to business telephone numbers. The >08 Wizard, is a mobile app to help you find a free 08 number, available to download for all major mobile operating systems including iPhone, Android and Windows. You’re simply required to put the company name or the premium non-geographic 08 numbers and app will display alternative number that will cost you much less in form of 01, 02 or 03 landline number. Once you have put the number in, it will then generate a number and redirect your call to non 08 number that is likely to charge you standard rates as included in your package. This app has a simple and easy-to-use interface that let you find an alternate number and view recent calls made using the app. Based on the online saynoto0870 portal, the 0870 app enables users put in the 0870 number and provides them withan alternative 01, 02 or 03 number. It charges 79p to iPhone users, but a similar app for Android based mobiles called 'Say No To 0870 is free. 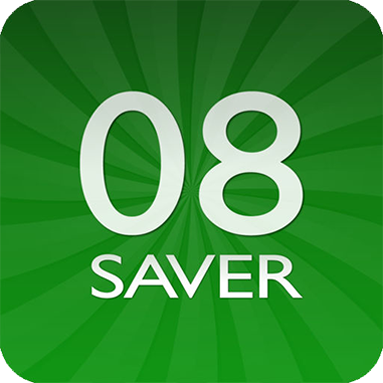 08 Saver is an iPhone app that works in little different way than above listed apps and charges 79p. Available to download on apple store, users can browse through categories including airlines, banks and insurance companies etc and find alternative numbers for 08 numbers. The advantage of this iPhone based app is that you don’t have to know the 08 number of the company on which you have to call. 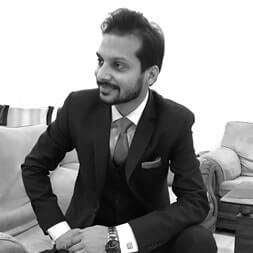 How to dispute unfair phone call charges? If you’ve called to a 0870 or 0845 number to lodge a complaint against the product or service of a company that you’d bought, you should ask the company to refund the charges of expensive call made by you. Also, get in touch with your phone service provider and ask to not include the disputed part of your phone bill until the issue is resolved. Phone-paid Services Authority also known as PSA, regulates premium rate services which include numbers starting with 0870, 0845 and more. If you have a complaint related to misleading call-cost information, false or misleading claims, or offensive content and prolonged calls. You can also make a complaint about all these by calling company at 0300 303 0020 or visit its website. If have been charged by your phone service provider in error, you should complain about it. If the issue still remains unresolved, you should contact Ombudsman Services or the Communications and Internet Services Adjudication Scheme (Cisas). Most of the phone companies excluding some third-party services providers are covered in one of 2 services. You’re likely to get a required support from these companies regarding your phone billing problem. It is advised to contact Ombudsman Services or Cisas if there is resolution of a formal complaint you made to your phone company even after passing eight weeks, or if the phone company has stated they won't do anything else. How to Earn Cashbacks on Your Phone Bills? Looking forward to a new current account? 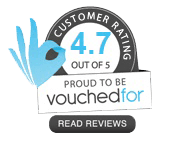 Well, there are few current accounts that provide cashback on a range of household bills including your mobile and home phone bills payment. Banks are increasingly relying on cash offers to attract switchers. You can earn a significant cashback amount by paying your phone bills through these offers. The call chargesfor 087 numbers include access charges & service charges. The service charge for calls made to numbers beginning with 087 numbers is between 0p and 13p per minute. How much does it cost to call on 084 numbers? The call charges for 0843, 0844 and 0845 numbersinclude access charges & service charges. The service charge for calls made to numbers beginning with 084 numbers is between 0p and 7p per minute. To find out access charge for calling 084 numbers. Why do companies use 0844/0845/0870 numbers? Numbers starting with 0844/0845/0870 are often considered as revenue makers.A company or organization takes a cut of the revenue from an 0844/0845/0870 "non geographic" number, earning them money from your call. What’s wrong with SayNoto0870 Website? 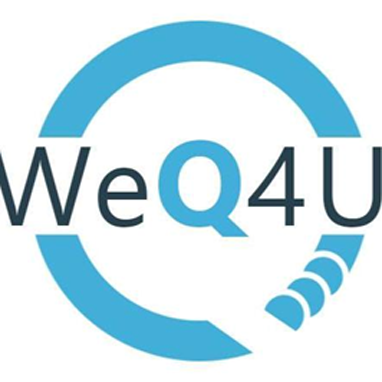 The vast majority of telephone numbers are submitted by visitors to the website. Thus, likely there is no verification of the numbers submitted is done. Moreover, the SayNoTo0870 website makes money through Google Adsense advertising. Furthermore, SayNoTo0870 uses adverts straight from Google to help fund it. Unfortunately, the advert banners you see on the website promote those selling 0870 numbers. Some service providers such as EE, Vodafone, Virginand more offer specific add-ons to call on 084 and 087 numbers as a part their inclusive monthly plan. If you are a frequent caller to 0870 & 0845 numbers, these add-ons can be a great deal for you. If you are an EE subscriber, you can use additional £6/month for 200 minutes add-on to call on 084/087 numbers.Vodafone customers can get 300 minutes for £2.50/month to call such numbers. 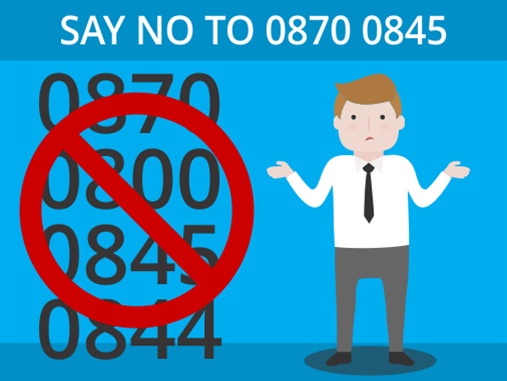 Say Goodbye to 0870 numbers Why Say No To 0870 numbers How to Say No To 0870 Say No To 0845 numbers Say No To 0345 numbers Say No To 084 numbers SayNoTo0870 Alternative Numbers 087/084 How much will you pay for premium rate calls?